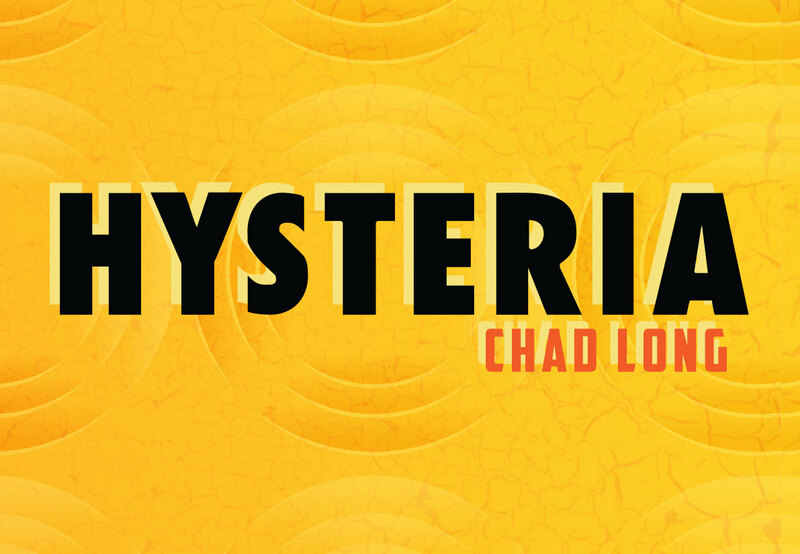 Today, when you order "Hysteria by Chad Long", you'll instantly be emailed a Penguin Magic gift certificate. You can spend it on anything you like at Penguin, just like cash. Just complete your order as normal, and within seconds you'll get an email with your gift certificate. Hysteria by Chad Long (Half Dollar Coins) Chad's signature coin routine, taught for the first time. ONE HAND is waved over 4 coins, and one-by-one THEY TELEPORT. LIMITED QTY ARRIVING SOON. RESERVE YOURS SOON. Update: The first batch has sold out. Reserve yours soon to guarantee a set from our upcoming delivery. The real question with a trick that looks this good is how practical is the method? Well, thankfully Chad's decades of performing HYSTERIA has given us a method that is both fun and really easy to do. Not only will you look like a wizard, you'll feel like one too. INCLUDED: Half Dollar version includes Kennedy Half Dollar coins and matching gimmick. This is a super easy one handed matrix that is a lot of fun to do. If you have 4 matching coins and a certain gimmick, you are all set for this. If you do other bare hand matrix effects like shadow coins or some of Dean Dill's effects, then you do have the gimmick. Chad also teaches a beautiful coin production as a bonus effect that is a perfect lead in to this. I bought the "download only" option and am very pleased with this purchase. I've been on a hunt for a good looking matrix that doesn't involve unnecessary moves or other objects to cover what is going on. This routine accomplishes both of those requirements! The movements of the hand look completely natural and there is no need for cards or other objects to cover the magic. I couldn't be happier :) I may have not have liked his cookies but I love this and I will be using it! Awesome work! Buy now if it's not sold out already. 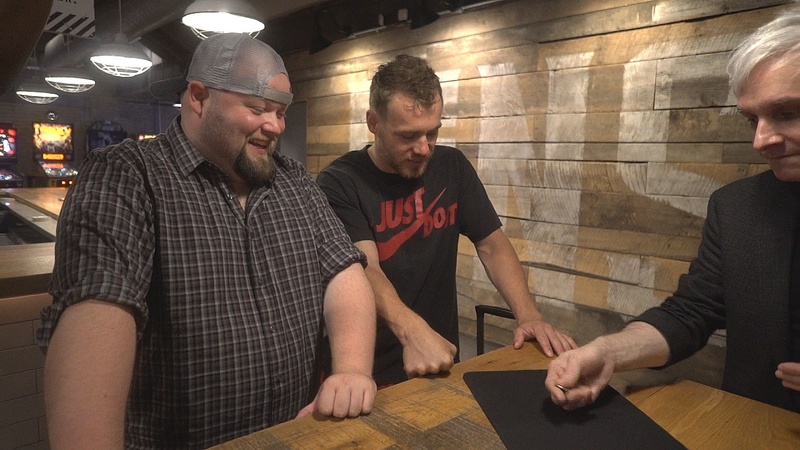 This can be added to pretty much any table routine with 4 coins and is a great kicker because you use only one hand and its so magical! I purchased the download because I already own a deans set which is perfect for this routine... I recorded myself doing it within an hour of watching the video and its like special effects! One person I showed it too said "It dont even look like you touched anything!". Great reactions already... this is definitely going into my lineup of coin magic and then there is a bonus trick on producing 4 coins! I will likely be using the bonus effect too! Its a perfect way to bring in 4 coins magically. Needless to say... if you love coin work... get this. I thought it was going to be super difficult... but its not at all! It just looks impossible! Hysteria takes Shadow Coins and eliminates one hand (!) for an impossible looking quick trick. It would make a perfect follow-up to Shadow Coins itself. 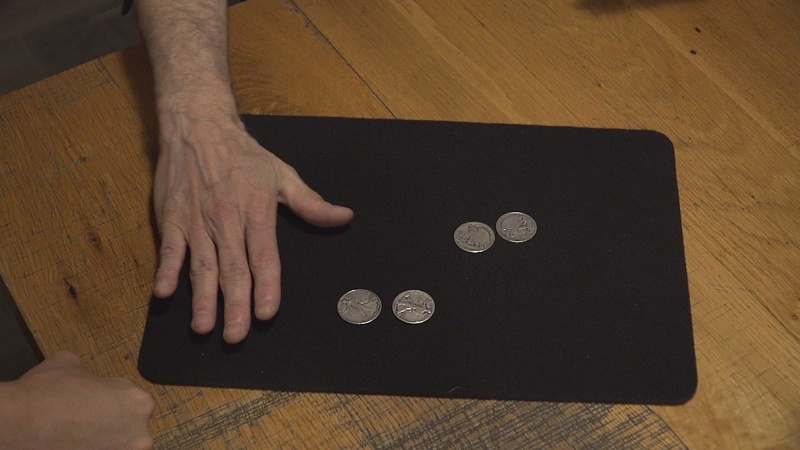 Chad Long's bonus production of four coins, which appear singly from under a coin purse, looks even more magical. It's a novel way to introduce the props for any number of coin routines (including Roth's Shell Coins Across). Chad Long should have more recognition among magicians; he's consistently smart and creative, and his chops are tops. This is an excellent one handed coin matrix. Chad Long's instruction is clear and concise. If you have some coin routines, or even some of Roth's material, this is still a great value. 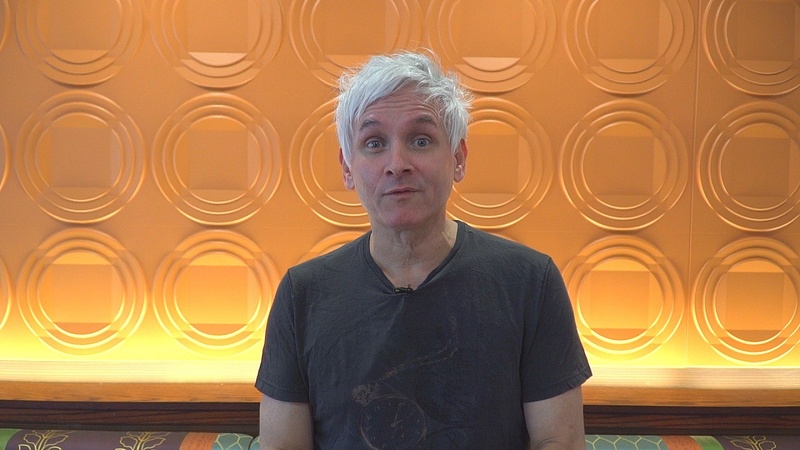 I first saw Chad lecture and perform at the April 2018 Penguin MAXX SOUTH 2018 event in Atlanta, GA. His material is totally useful and worth not only having, but, using. If you have a chance to attend one of his lectures, do it! 100% recommended. I seem to have made a mistake ordering Hysteria. The coins and gimmick were less than acceptable in quality and co-ordination to dates and shell. Save your money for someone else like Dean Dills Coin Explosion maybe ! This is the first time Penguin Has been less than professional in their products. 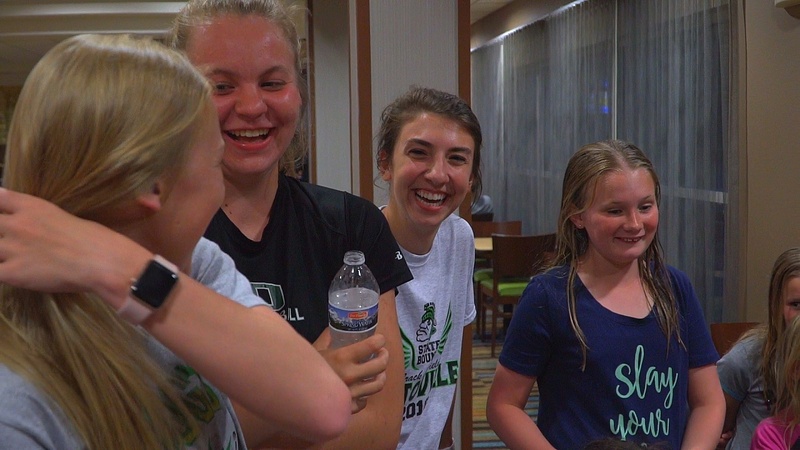 The routine looks great in the video. The problem is the quality of the "special something" that is supplied. The 1st time I received Hysteria the secret item locked onto the half dollars, much the same as a Scotch & Soda coin - I actually had to pry the coins apart which makes it impossible to perform the routine. I called Penguin Magic and explained the problem - they sent me a 2nd set. In the second set, the special something fit nicely - however, the edges were so rough that they wouldn't slide on a close-up mat (I tried several mats to see if it would make a difference - it didn't). Until such time as I independently purchase a good quality gimmick that will easily go on and on the coins AND has smooth edges that will slide on a close-up mat just like a coin, I have NOTHING that I can work with. Very disappointed with this item because of the props supplied. I was so used to doing both the Matrix and Card & Coin Matrix but as if that wasn' t visual enough along comes Hysteria. So damn Visual. Thank you. Using it all the time. Chad said it was really easy to do. He kept his promise. It really is easy to do, and looks great too. I was amazed at how easy it is to perform. 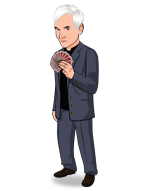 It makes me look like a great coin guy even though I don’t have “slightest” idea how to perform fancy coin tricks. Thanks, for sharing your well kept secret. This is an incredibly visual one-handed coin assembly, which is quite ingenious in design. However, the included gimmick is not of great quality. I don’t want to reveal the secret by elaborating, but the gimmick’s quality significantly hinders the viability of the effect.